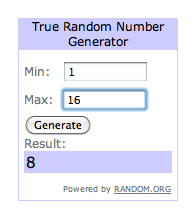 Congrats to Jessica on winning tickets to Hullabaloo 2013! Please email me your contact information. Tickets are still available if you didn’t win! One of my favorite cities is New Orleans so when I received an invite to The Bourbon Street Ball, I was beyond excited. The Bourbon Street Ball, presented by the LGBT Community Center of Greater Cleveland, is the largest fundraiser for this nonprofit. This party – well Ball – is going to embody the Big Easy. I hear even beads are involved. And who doesn’t love a New Orleans style party right before winter hits The CLE? You can also expect to see great entertainment from Suzanne Westenhoefer and Elec Simon. Plus there will be great co-hosts including New 102’s own Kory in one of his last appearances before heading to Dallas. COST: $250 for VIP, $95 general admission, $60 for low-income seniors and students. 2. Follow @cacoughlin and @BourbonStBall on Twitter and let me know if you did. 3. Follow Life in the CLE and Bourbon Street Ball on Facebook and let me know you did. You have until 10.24.13 at midnight to enter to win! 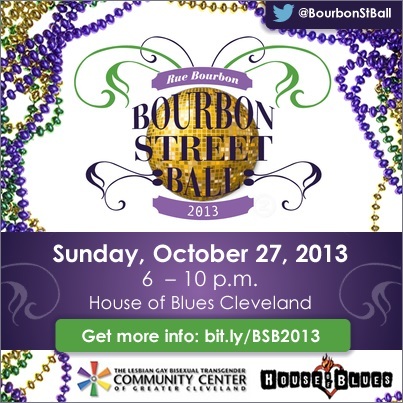 This entry was posted in Uncategorized and tagged Bourbon Street Ball, CLE Events, Giving Back, The Big Easy, The CLE. Bookmark the permalink.